The Hawker Typhoon Preservation Group (Registered UK Charity no.1167143) is overseeing the restoration of RB396 with the intention of returning the aircraft to flight powered by a Napier Sabre engine – something that hasn’t been seen or heard, for nearly 70 years. 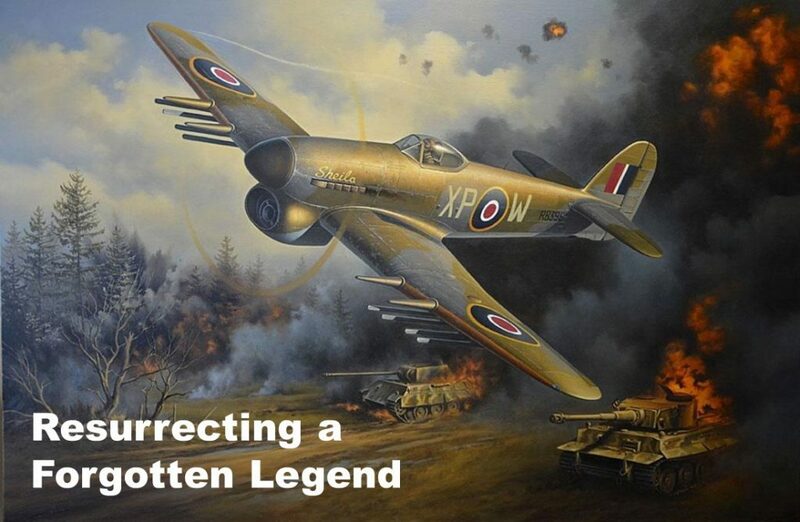 Once complete, this legendary aircraft will be the only airworthy Hawker Typhoon in the world, and the only genuine combat veteran in existence. She will serve as a centrepiece for a Heritage Centre, established with the intention of preserving the history and educating the public with regard to this iconic and forgotten aircraft.